The hot weather is coming! Ugh, yesterday was so humid and sticky that I seriously thought about relocating up north for the summer. Although, my cousins in NYC don't have it much better from what I understand. To continue Kettler Cocktail Month, I have a delicious treat for you today. Warm weather always makes me think of mojitos. I first discovered this drink with my mom on a family cruise about 7 years ago. We were at sea for a full day, and thought "why not drink on the deck and watch the sun go down." Unbeknownst to me, one drink turned into several and we partied the night away!! I love to muddle ingredients (as you can probably tell from my previous drink) and I love clear liquor drinks in the summer. I had some cilantro in the fridge and wondered if I could create a cocktail similar to using mint. 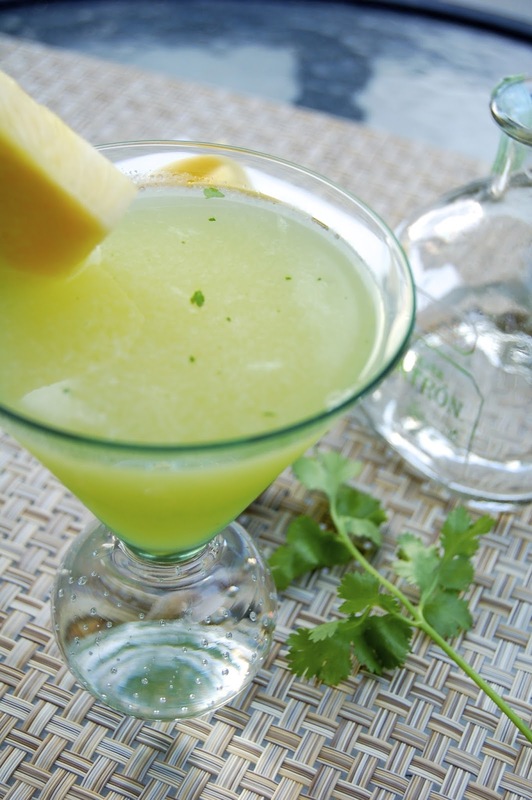 In a large glass, muddle the cilantro leaves, honey and squeezed lime wedge. Pour the tequila and pineapple juice over the muddled mixture and stir well. Add mixture to a shaker along with several ice cubes. 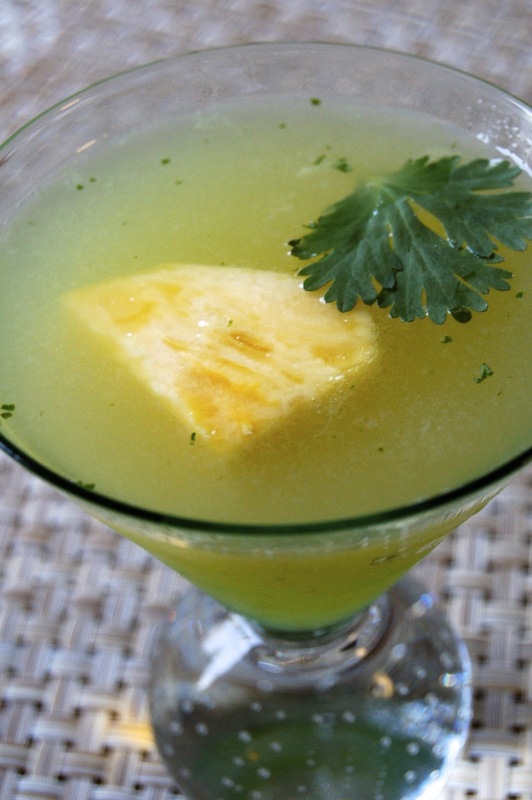 Strain and pour into your favorite chilled martini glass with a garnish of fresh pineapple and cilantro leaves.